Having a Facebook Business page means having valuable content with images, videos, support, usefulness of a certain product, etc. But when your fans or viewers visit your page, they may feel that some product is fine, some is not etc. This feedback should be known by every "Business Page" owner to make better pages and improve the present ones. For this one must add a "Survey" in Facebook. Feedback from customers is an important report for business page owners. This will help them to make better experience for the customers or fans. The results judge whether a specific point should be added or not or what extra should be added in that fan page or the product or service that will make more exciting for viewers. 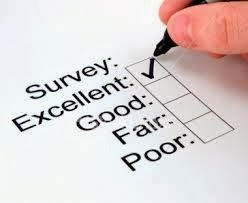 Creating surveys is the best option for knowing the reality of business and fan page. The "Surveys" in Facebook will enable users to create basic questions that people can just click to the answers they think is right. People can be able to add their own opinion or options if allowed. Click on the name of your "Business Page"
Before proceeding, add "Thank You page"
You can see that there are two options to share, either a business page or your personal timeline. Select the "Publish to my Business Page" as you are creating for your business page to get the feedback from fans or viewers. This was the step by step procedure for creating a survey in Facebook.